The successor of Atletico Madrid in the UEFA Europa League will be announced this season on 29 May 2019 in the capital of Azerbaijan, in Baku! This Thursday is the first leg of the quarter-finals on the program. As in previous years, some well-known teams will fight their way to winning the title in 2019! An absolute firecracker duel is the KO game between the English top club Arsenal and the Italian top club Napoli! It is a game of two teams that could be suspected without any ifs and buts on Tuesday or Wednesday in the quarter-finals of the UEFA Champions League. However, given the remaining competition, such as Arsenal rivals Chelsea, it would be premature to speak of an “anticipated” final. The final in Baku is compulsory for both teams, as the title of the club was spent as a goal by the club’s management. Arsenal’s last triumph on the international scene was in the UEFA Cup Winners’ Cup in 1994, with SSC Napoli’s last – and only – international title dating back to 1989 (UEFA Cup victory). Bookmakers consider the second-placed in Serie A a favorite in this knockout duel. The odds are 2.37 for Arsenal’s draw against Napoli, while a Napoli semi-final draw results in just over 1.50. The first leg will be played at the Gunners Emirates Stadium, kick-off is at 9pm. Home Top – a flop in a foreign country! To put it bluntly, this is quite fitting for the achievements of Arsenal. The outward weakness is not only since this season a big topic. For a few years, the Gunners convince in foreign place only rarely. This can be clearly demonstrated on the basis of some statistics. 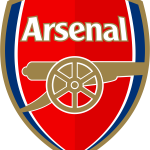 For example, the Emery-Elf ranked third in the current Premier League home table, while the Gunners ranked tenth in the away table! Six games to go, Arsenal are fifth in the league and would miss their UEFA Champions League qualifiers after the match. But in the season finale everything is possible, because the two CL places behind Manchester City and Liverpool are highly competitive. The residue on city rivals Tottenham is currently only one counter. The Swiss granite Xhaka said last week that any defeat will be punished in this hot phase. The Toffees from Everton, the unconditional will to win, however, was not visible. After a poor performance, it put a deserved 0-1 defeat. 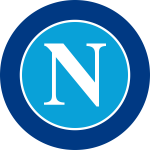 Given the knowledge of their own away weakness, a good result in the home leg against Napoli is of great importance. In the Premier League Arsenal is with a 14-2-0 balance at home without defeat, even in the Europa League knew the Emery-Elf (4-1-0) to convince. Against Stade Rennes could be compensated in the return match, a 1: 3 defeat, only for the second time in Europa League history, this succeeded a team (Fulham celebrated in 2009/10 against Juventus getting ahead after a 1: 3 in the first game). In all competitions, seven home games have been won in series, and in five of these seven games not even a goal has been conceded. Accordingly, between Arsenal and Napoli the tip that not both teams to score, quite an option. The odds for this opportunity are at least 2.20! However, Napoli has a strong offensive and behind the use of Laurent Koscielny is currently a question mark. But Aaron Ramsey returns to the team. Also Granit Xhaka will most likely be available after overcoming thigh injury! Seven games are still to complete in the Italian Serie A. The championship has already been decided and next weekend Juventus will probably fix the title win by calculation. The second in the table from Napoli can devote the concentration of the Europa League in the season finale, because with twelve points ahead of fifth place in the table, the CL ticket is already more or less fixed. Correspondingly, Carlo Ancelotti also made a strong showing last weekend. Despite more than an hour over Napoli had to settle for home crowd against Genoa with a 1-1 draw. An upset, which was, however, acceptable accepted. Nevertheless, in the light of the recent series A results, the sky blue from Napoli can not be said to have a superior form. Only two of the last six league games have been won. Also internationally, the Italians knew to convince this season only at home. Only one out of five away games could win the Ancelotti team on the international stage – at FC Zurich in Switzerland. A draw was made against Red Star Belgrade and Paris Saint-Germain, with Napoli beaten in Liverpool and Salzburg. In view of this away record, Arsenal and Napoli are not likely to predict a victory for the visitors. Especially since SSC Napoli has never won a match in England. In seven attempts, it sets five defeats (two draws). Napoli will certainly not play for victory on Thursday, but at least one away goal will be the big goal to break open the door to the semi-finals (wheare the Valencia / Villarreal winner awaits). Personnel Ancelotti will have to renounce Raul Albiol and Amadou Diawara. Center-backs Kalidou Koulibaly and Nikola Maksimovic return after the yellow card suspension in the Salzburg return leg. Arsenal vs Napoli is also the duel between Unai Emery and Carlo Anceotti – two coaches who have already earned many major titles in their careers as club coaches. There is no lack of experience on the bench or on the green grass. In the first leg between Arsenal and Napoli, a look at the odds makes for quite a surprise. Despite the impressive home record of the Gunners and the weak away performances of Napoli, betting odds of 2.45 are offered for the home win. 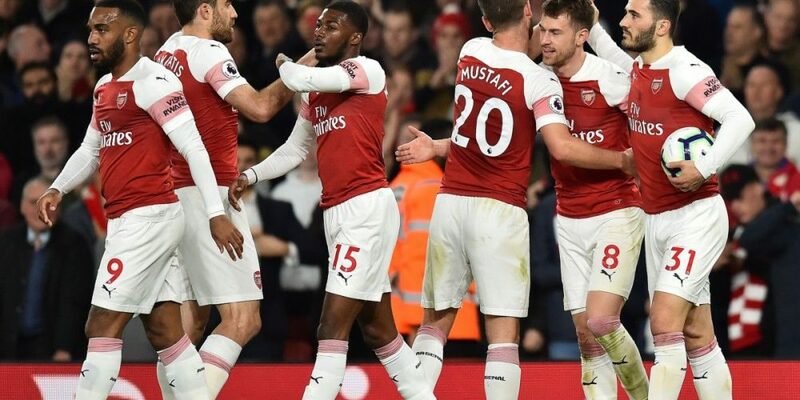 However, the Italian guests have the great advantage that they can put the main focus on the Europa League, while the Gunners dance at two weddings and each need top performance. Physically, the Italians should therefore be quite in the advantage, accordingly, distance between Arsenal and Napoli is taken from the tip of the home win. The guests have an outstanding offensive. Despite the few Arsenal goals at home, a game with some goals is to be expected.